In order to compete in a mobile world, businesses are pressed to adopt wireless technology to make life easier. I know what you are thinking… making the change to a wireless network sounds complicated and it will require extra work for your already swamped IT team – not to mention it probably requires a significant investment. Is it really worth the effort? Well, here are number of horrible reasons NOT to go wireless for you to consider (the truth is, not going wireless is not an option). Our world has morphed into an all-access, all-the-time place – meaning your employees expect and require the ability to access the Internet and your network wherever they are in the office. But it’s not only a good thing for your employees work style – its good for business. A wireless environment allows work and productivity to continue when employees leave their desks. Not going wireless causes work to halt as soon as someone steps away from a hard-wired workstation. Wireless connectivity makes it all too easy for your employees to share critical files and communicate with one another. With so much time and so many options to share information, there is bound to be too much communication between your employees and your customers. Wait… what?! This isn’t a real excuse – there is no such thing as too much communication or collaboration. The more your team can work together, the more effective and efficient they will be. It's hard to predict where your company will be in one year, five years, ten years. Not going wireless requires you to hard-wire every single new employee. Can you imagine how much time this would take if you added several new employees every year? 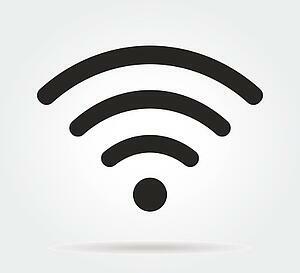 Wireless networks make it easy to add users as your business grows. Plus, expanding bandwidth to accommodate the added usage is simple and cost-effective. While I poke fun at these irrational excuses not to go wireless, the reality is that wireless solutions have innumerable benefits for your business. The workforce today doesn’t know how not to work when they aren’t at their desk – they take their laptop, tablet or smart phone with them every where they go: the conference room, the break room and probably even the bathroom. Wireless technology makes it easier for your business to stay productive, even when employees want to, or need to, leave their desks.